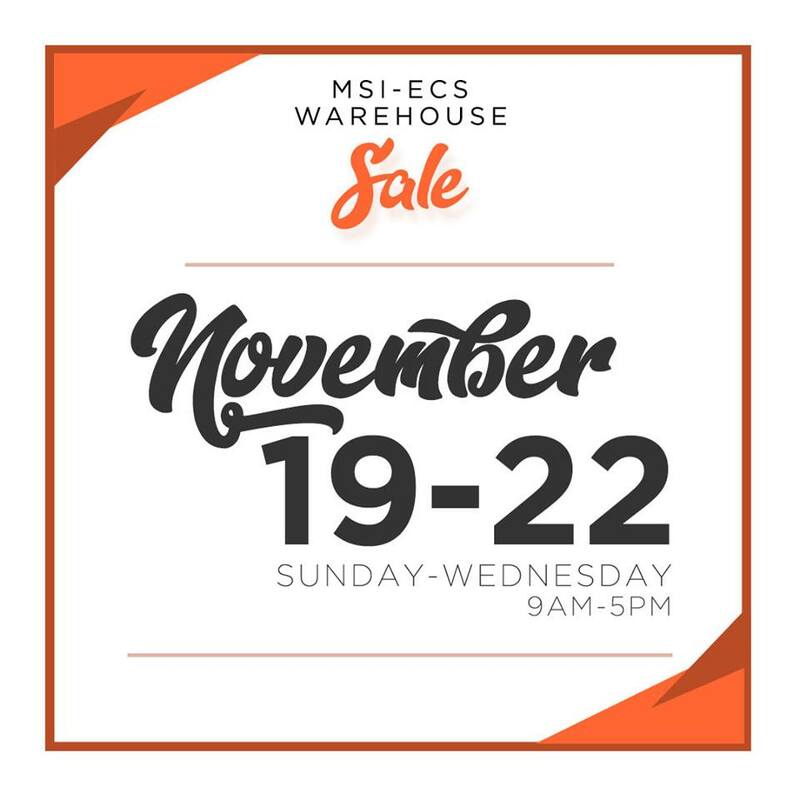 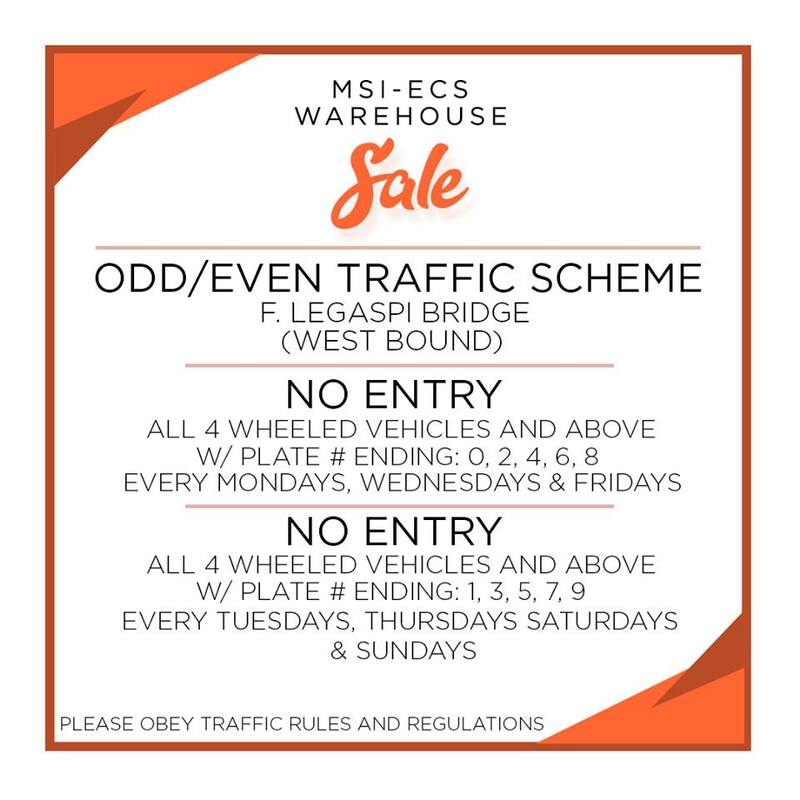 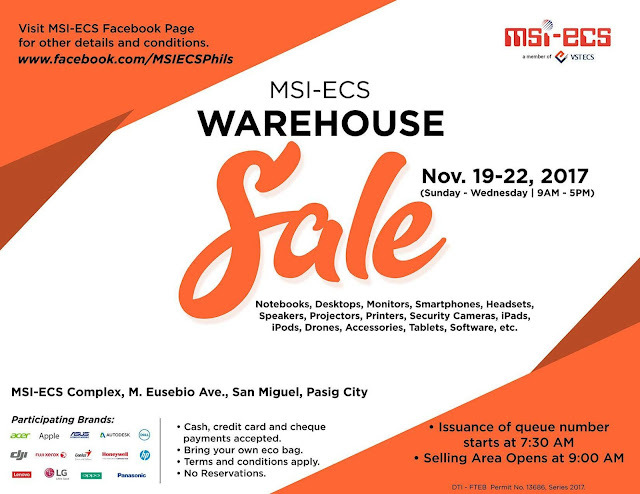 Mark your calendars for the much-awaited MSI-ECS Warehouse SALE happening on November 19-22, 2017 at M. Eusebio Avenue, San Miguel Pasig City. Enjoy great discounts on your favorite gadgets, notebooks, desktops, headsets, speakers, printers, projectors, security cameras, smartphones, iPads, iPods, drones, accessories, and many more! 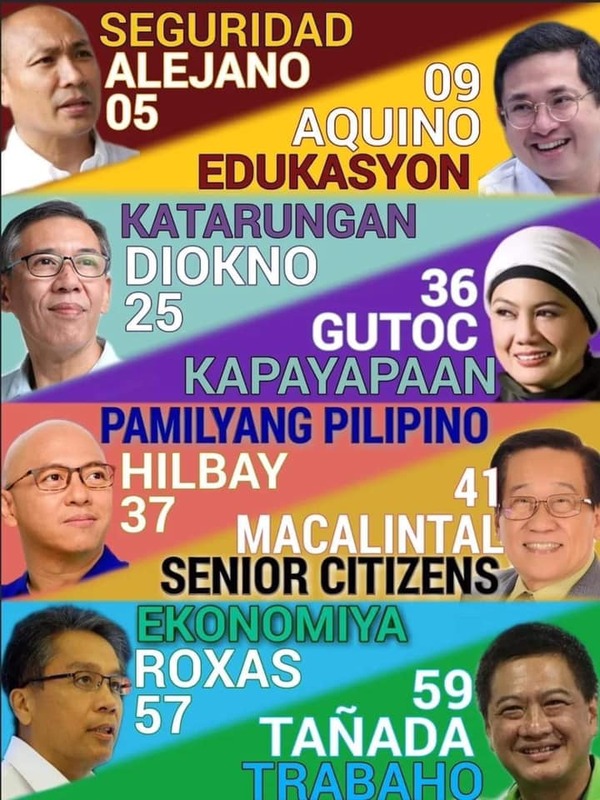 Bring your own eco bag.